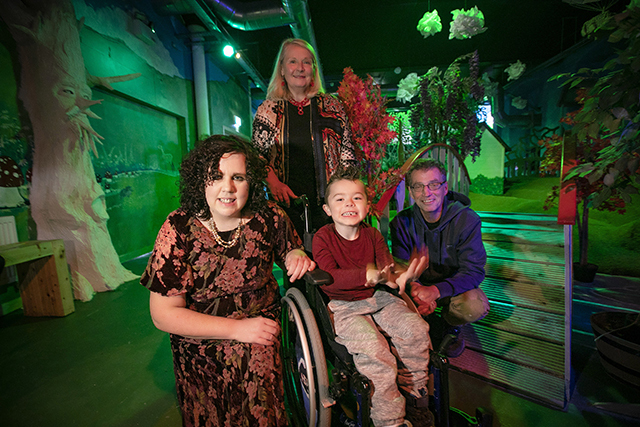 Image: Pictured at the Imaginarium launch event is (L-R) Grainne Powell, Sticky Fingers, Noirin McKinney, Arts Council of Northern Ireland, Alfie Pentony age 6 and Jim Russell, Sticky Fingers play worker. The Imaginarium Arts Centre in Newry is the first dedicated arts venue for children and young people in Northern Ireland and has officially launched with an exciting new autumn-winter programme curated by Sticky Fingers Arts. Supported by principal funder Arts Council of Northern Ireland, BBC Children In Need and Ulster Community Trust, the Imaginarium is an inspirational and unique venue that provides exciting and highly imaginative arts and creative activities for children from 0 to 17 years, six days per week. From exploring the atmospheric space to taking part in sculpture, drawing, painting, dressing up, and writing stories, there’s something to inspire all imaginations. Indeed the innovative organisation has just won the prestigious JM Barrie Award for Outstanding Contribution to Children’s Arts. The Imaginarium was created by Sticky Fingers Arts for children to have a space where they have the freedom to play and all creative activities are facilitated by a highly-skilled team of professional artists and play workers to ensure that each child gets the best experience possible. 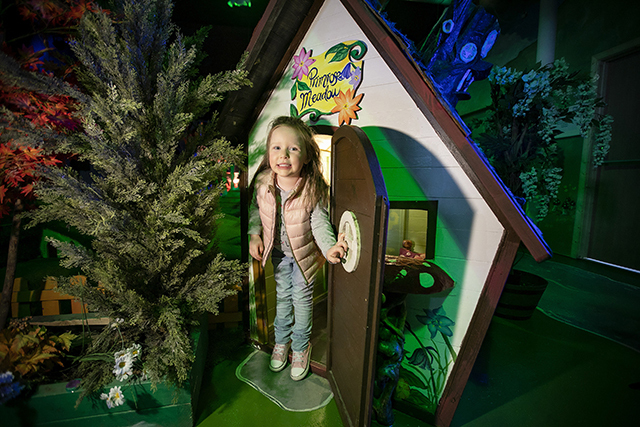 Located on Edward Street in the heart of Newry city centre, the Imaginarium also boasts a unique Arts Café providing drop-in arts activities every day, workshops, the Imagination lab for little explorers and the Imaginarium Story Centre, the first of its kind in Northern Ireland.